Steve Mnuchin (C) and Eli Miller (R). Photo by Chip Somodevilla/Getty Images. Eli Miller, who resigned last Thursday as chief of staff to Treasury Secretary Steve Mnuchin, has agreed to join private equity giant The Blackstone Group to work on public policy, Axios has learned. 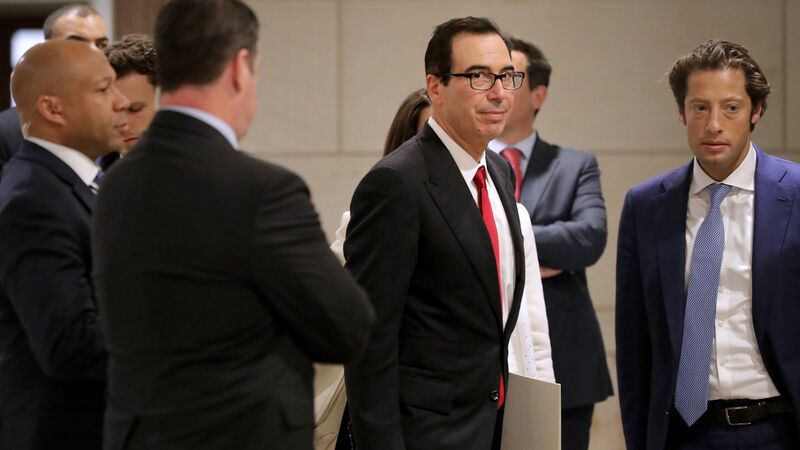 Why it matters: Miller was Mnuchin's closest adviser, and he is staying within the Trump orbit by joining an investment firm led by Trump adviser Steve Schwarzman.